Here are a few fun invitations for a candy birthday party that really highlight a child favorite...the gumball machine. If you are interested in hosting candy party contact Paper Perfection at jtanddolly@yahoo.com for pricing and details. 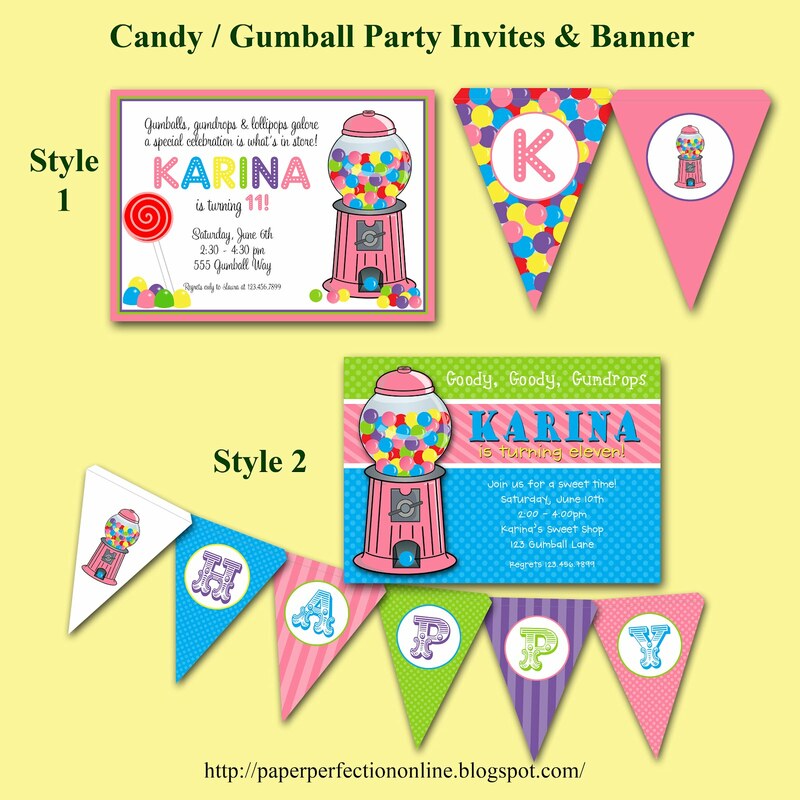 I can also make matching party printables like food labels for a fun candy buffet, bag toppers, candy bar wrappers, cupcake toppers, gift tags and so much more!